ATTENTION! This web page is hosted on EthicsPoint's secure servers and is not part of the DMACC web site or intranet. Des Moines Area Community College has selected EthicsPoint to provide a simple, risk-free way to anonymously and confidentially report activities that may involve inappropriate behavior in violation of the policies of Des Moines Area Community College or State of Iowa. You may file a report to EthicsPoint on this web site or by telephone through EthicsPoint by dialing toll-free 866-384-4277. EthicsPoint will not divulge the identity of the person reporting without that person's consent. No retaliatory action will be taken against anyone for reporting or inquiring about potential breaches of policies or law or for seeking guidance on how to handle such concerns. Reports submitted via EthicsPoint will be handled promptly and discreetly. Reports, absent the names of the persons reporting, are reviewed by DMACC Confidential Hotline administrators, who then investigate the claims or refer them to the appropriate college official for investigation. The DMACC Confidential Hotline administrators monitor all phases of the investigation and resolution of the report. DMACC makes no promise to share information about the findings and resolution with the person reporting. See Code of Business and Fiduciary Conduct. After you complete your report you will be assigned a unique code called a "report key." Write down your report key and password and keep them in a safe place. After 5-6 business days, please use your report key and password to check your report for feedback or questions. This hotline service does not replace or supersede existing reporting methods. 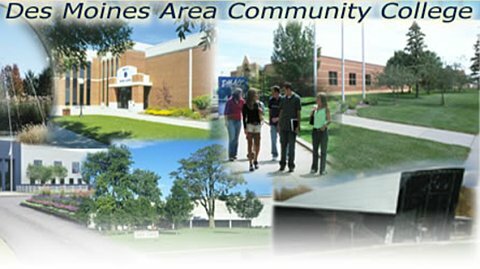 The College strongly encourages staff and other members of the DMACC community to report concerns of misconduct directly through normal lines of communication. This hotline should not be used to report issues such as human resources matters, issues concerning discrimination, harassment, or student conduct. Matters of this nature usually cannot be appropriately addressed when the complainant chooses to remain anonymous, and DMACC may not be able to investigate such allegations in an anonymous report. These matters should be reported by directly contacting the offices listed below (click for contact information). The names, words, symbols, and graphics representing DMACC are trademarks and copyrights of the college protected by the trademark Copyright laws of the United States of America and other countries and are used on this web site under license from the college. Copyright © 2000-2006 EthicsPoint, Inc. All Rights Reserved.